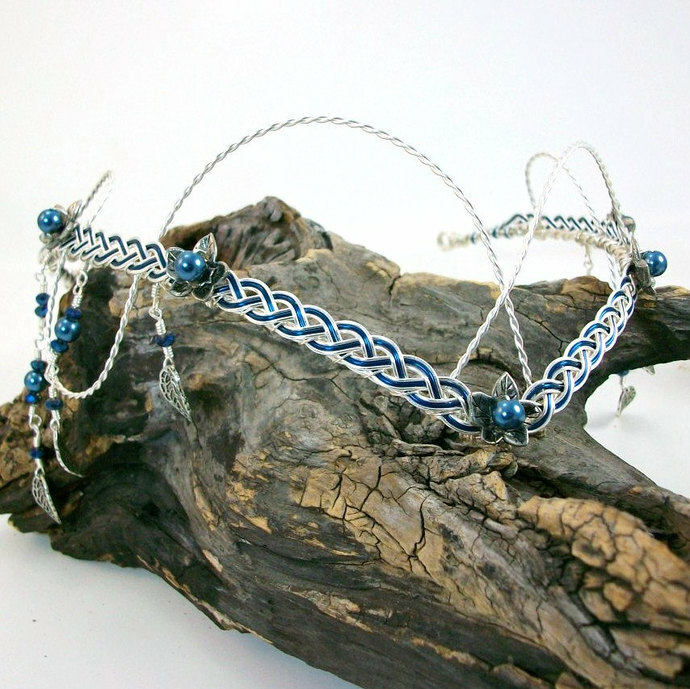 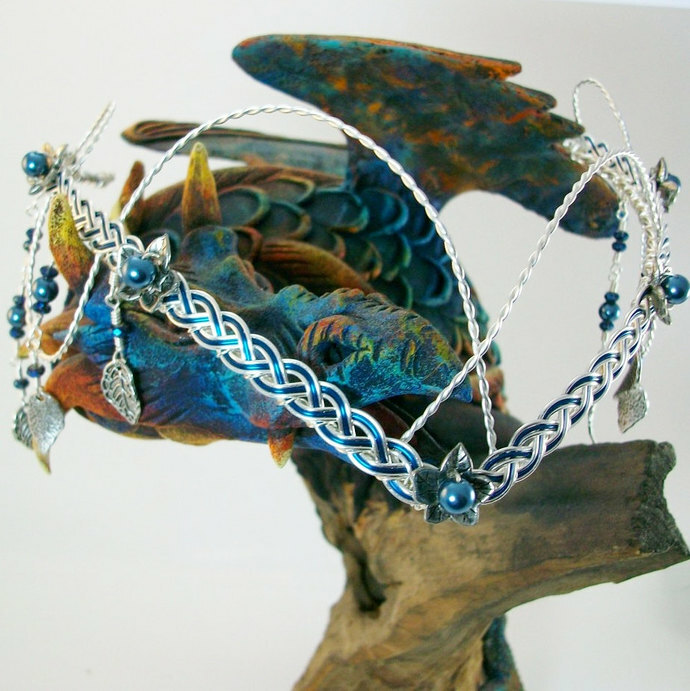 A Celtic weave silver & blue band is the base for this tiara / circlet / headdress, and we have added genuine Swarovski crystals and pearls and silver leaf charms. 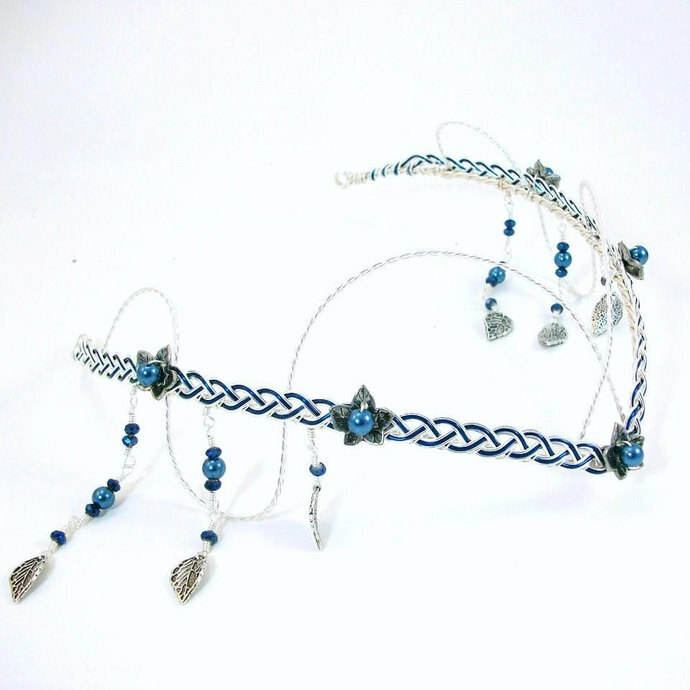 The band itself adjusts to all head sizes, and can be pinned into the hair, or attached with ribbons at the back. 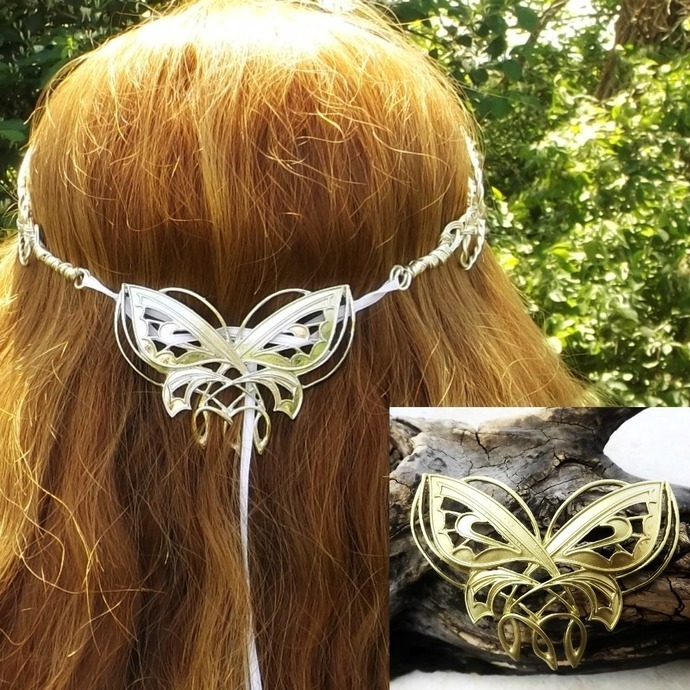 Also available with gold wire and leaves. 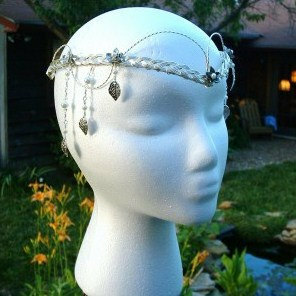 This would be lovely in a Celtic, Medieval or Renaissance themed wedding or costume, and is sturdy enough to hold a veil if need be. 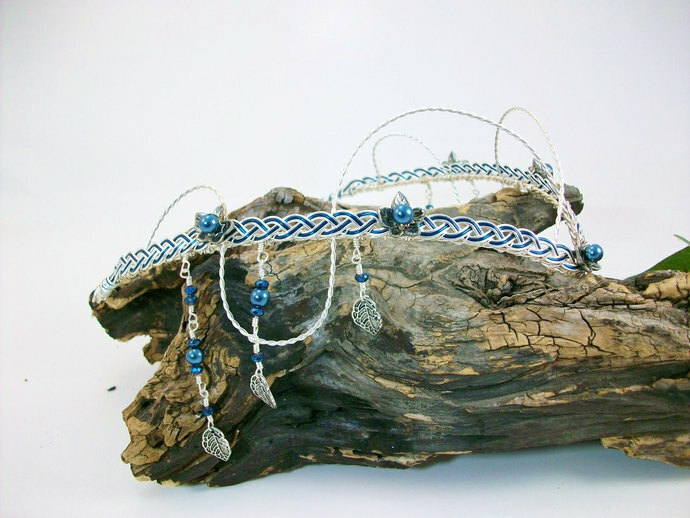 The fairies and I thank you for visiting Thyme2dreamWeddings!